I love pizza. I could eat it every day. 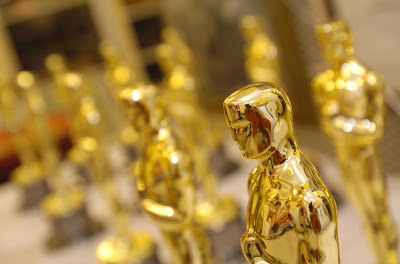 In fact, I've made a good run at that before — much to the chagrin of those around me. It would definitely be my last supper. And I'd choose pizza from Napoli's in Panama City (Panama not Florida), which I know seems like an odd choice. But I remember having my inaugural slice when I was probably 6 years old. It blew my socks off. It was the first time I realized food could be transformative. I had it again as an adult and am glad to report it's still as life-changing as I remembered. The PC is planning a reunion visit to Panama in 2012, and my mouth is already watering in anticipation of my Napoli's fix. Anyway, I love the accessibility and versatility of pizza. There are limitless possibilities when it comes to toppings, but I personally draw the line at seafood. I'm sorry, but shrimp does not belong on a pizza. Maybe on a bruschetta, which I realize is like a mini pizza, but I'm holding my position. For the record, I am open to non-traditional pizzas. When I saw a recipe for a Spanish pizza, I immediately perked up because Spain is my favorite country and I think the flavor profiles of Spanish cuisine are incredible. However, when you think of Spain you certainly don't think of pizza. Maybe jamon, paella, marcona almonds . . . . But this pizza did include a short list of ingredients I love so I thought I'd give it the old college try (although I can assure you I was drinking much better red wine than I was in college). The result: it's like if Italy knocked up Spain and made a Catalonian pizza love child. It has all the classic flavors of the Costa Brava (chorizo, manchego cheese, tomatoes and olive oil) masquerading as a lovely pizza pie. It looked familiar but each bite burst with a unique combination of surprising ingredients. Kind of like those cool mash-ups you hear which combines the Beatles and Ke$ha, which sounds bizarre but once you listen to it you realize it's genius. That's kind of the best way to describe this pizza. 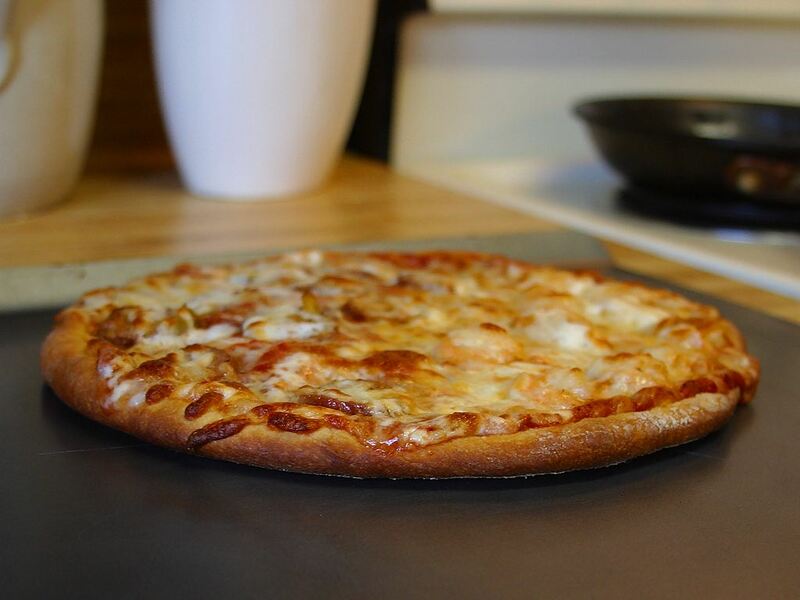 Place a pizza stone in oven and preheat to at least 500 degrees . Ideally, the stone should heat for at least 1 hour to get the ideal pizza crust. While heating, in a medium saute pan cook the chorizo over medium heat. Break up with a wooden spoon and stir until browned slightly and cooked through, about 8 minutes. Remove from heat and set aside to cool. Place pizza dough on a lightly floured surface. I recommend a mixture of flour and corn meal. Carefully stretch the dough with your hands into a large circle about 1/8-in thick. If possible, work on a pizza peel as it makes transferring it to the oven a piece of cake. Brush olive oil over the dough saving about 1/2-in from edge. Sprinkle cheese over the dough, then layer with tomato slices and the chorizo. Season with salt and pepper if desired. Bake pizza until golden brown approximately 6-8 minutes. Remove from oven and sprinkle with fresh cilantro. Cut and serve. 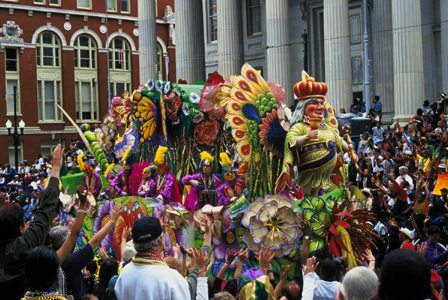 You may not be aware of this, but we're on the brink of an important holiday: Mardi Gras! That's right, Fat Tuesday is tomorrow. And that's a wonderful excuse to eat and drink a whole lot before Lent sets in and we're deprived of something good for 40 days. I'm not very good at Lent, but that's probably worth its own blog post. So I think for this one, I'll focus on what I am good at: Eating and celebrating. I think those two qualities are quite Southern, so thankfully are in my DNA. I wanted to share with you a recipe to help you get in the proper holiday spirit. Even if you're surprised by this occasion, you can still whip up this meal and have plenty of time to sip a Sazerac. Red beans and rice is pretty quintessential NOLA (short for New Orleans, LA) cuisine. It was originally served on Mondays, utilizing the ham bone left over from Sunday supper. Very low maintenance, it simmered on the stove all day while the women washed the family's laundry and hung it out to dry. Although for the most part, Monday Wash Day is a thing of the past, red beans and rice is still a NOLA staple, both at home and restaurants. Today, though, you'll most often find it served with andouille sausage or boudin, a spicy pork sausage with onion, rice and herbs. This dish is easy to put together, inexpensive and comforting. The only issue I could possibly point to is the name. It seems like it should be called red beans and sausage because the rice seems like an after thought. Regardless, it's delicious. While I certainly don't care if your laundry goes by untouched for another day, I must implore you to make red beans and rice in honor of Mardi Gras. Just stick the few ingredients in a crock pot and you're done! 1) Drink cheap beer out of a large plastic cup — at 9 am, or . . .
2) Lift your shirt up and see if anyone throws beads at you. If you start with the first one, you may likely end up doing the second. Just don't say I didn't warn you. . . .
Place beans in a large bowl and add water to cover. Soak overnight. Or place the beans in a large pot of water and bring to a boil over high heat. Once the beans have come to a boil, remove from the heat and set aside for an hour. Before cooking, discard any floating beans and drain. To prepare in a slow cooker, place the drained beans, ham bone (or sausage), onion, garlic and water in the insert of a slow cooker. Cover over low heat until the beans are tender, about 6 hours. To prepare on the stovetop, combine the beans, ham bone (or sausage), onion, garlic, and water in a large, heavy-bottomed Dutch over. Bring to a boil over medium-high heat, then decrease the heat to low. Simmer, covered, until the beans are tender, 4-5 hours. Season with hot sauce. Taste and adjust for seasoning with salt and pepper. Serve with rice.